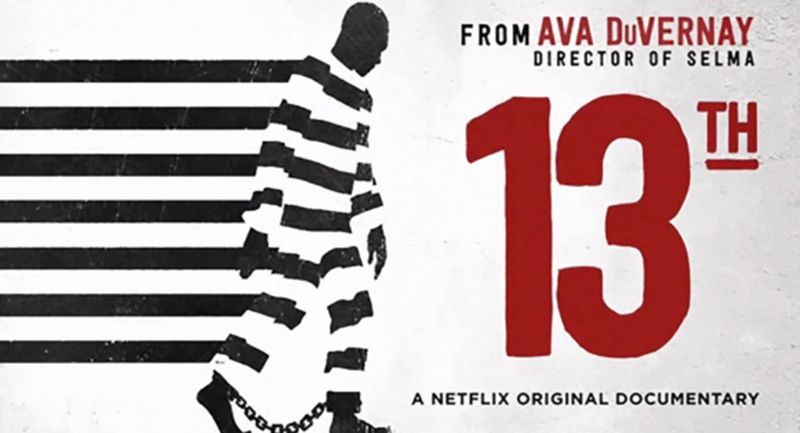 Issues of race, justice, and mass incarceration are explored in a movie called “13th.” The 2016 documentary by director Ava DuVernay will be shown at Volunteer State Community College on February 20 in a free public screening. The title refers to the passage of the 13th Amendment to the United States Constitution. The ratification abolished slavery. DuVernay argues that many of the actions of slavery continued in the United States through criminalization of behavior, convict leasing, lynching, and Jim Crow politics, ultimately leading to the mass incarceration of people of color in the twentieth century. The film will be shown at 6 p.m. in the Nichols Dining Room B of the Wood Campus Center. The screening is organized by the Vol State Office of Diversity and Inclusion. For more information call 615-230-3443.